The participation of the mighty Avro Vulcan B2 XH558 in Air Day 2012 is an integral part of RNAS Yeovilton International Air Day’s commemoration of the 30th anniversary of the Falklands Campaign. Only recently pressed into service, the Royal Navy’s Sea Harrier FRS1s spearheaded the strike force sent by the UK armed forces to the South Atlantic region and the effectiveness of their involvement was recorded and celebrated. But the Falkland Campaign also saw a fleet of five aircraft, in the twilight of their UK military careers, carve their own place in history. These were the five Vulcan B2s deployed to Ascension Island, from where they launched the infamous, ultra long-range Black Buck Missions, the first of which decimated the runway at Port Stanley airfield where Argentinean forces were then-based. XH558 is the world’s only airworthy Avro Vulcan and is now in its fifth successive airshow season since its restoration to flight status was concluded in 2007. It’s been a showstopper at the past two Air Days and, at last year’s event, was paired up with the only flying De Havilland Sea Vixen for a pair of absolute unique flypasts. This time, it appears in tribute to the heroic spirit of the Black Buck Vulcans and their pilots, among them Martin Withers. Having commanded the Vulcan B2 involved in the first Black Buck mission on 1 May 1982, thirty years later, Withers is now part of the team of hugely experienced pilots tasked with displaying XH558 at venues across the UK. 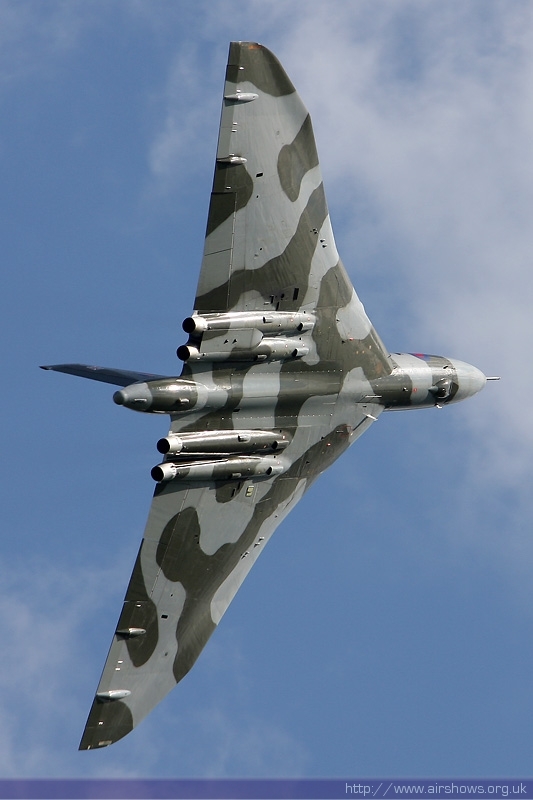 Of course, Vulcan XH558’s appearance is very much subject to a successful fundraising campaign to ensure it is airworthy to celebrate the type’s own 60th anniversary. 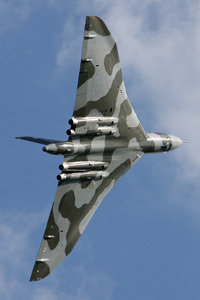 If you would like to support the Vulcan To The Sky campaign please visit www.vulcantothesky.org .